Today is Friday and sadly that means the final day of weather word of the day week here at the Fresh Korean Institute. We have gone for Snowy today, it maybe still early Summer at the moment however in 6 months time it will be deadly cold and snowy. 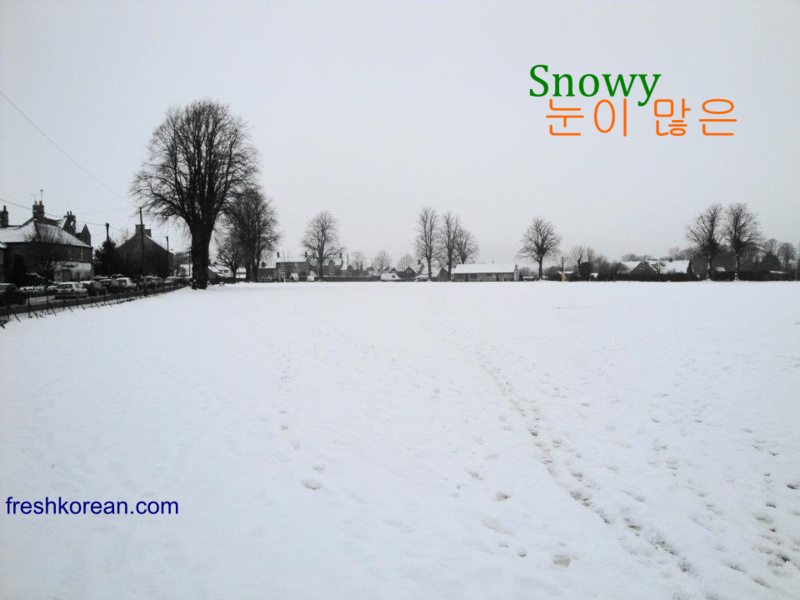 So you know the Korean word 눈 (Noon) also means eyes as well as Snow. Thank you for joining us during Weather week and please come back tomorrow are another interesting word of the day.